The B-Mets unloaded with eight runs over the final three innings against the Richmond Flying Squirrels in a 11-3 victory in the series opener on Thursday night at The Diamond. The loss extended the Squirrels (53-51) losing streak to six consecutive games. The Squirrels called upon pitcher Edwin Quirarte to make an emergency start and the right-hander struck out a career-high eight batters through four innings in a no decision. Richmond will throw RHP Joe Biagini in game two of the series on Friday night at The Diamond. The B-Mets opened up a 7-3 lead in a see-saw affair with a four-run top of the seventh inning. Five consecutive hits unraveled reliever Phil McCormick (3-3) as the Mets sent eight batters to the plate. Binghamton added another four runs of Braulio Lara in the ninth with run-producing hits from Jared King, Gavin Cecchini and Johnathan Galvez. Checchini collected five hits as the Squirrels allowed a season-high 18 hits in the loss. The Squirrels took advantage of a shaky start from Rainy Lara to snag a 2-1 lead in the fourth inning. Hunter Cole led off with a booming double to right centerfield. Devin Harris worked a walk and Austin Slater was hit by a pitch to load the bases with one out. Mitch Delfino followed with a fielder’s choice to score Cole from third base and tie the game. Richmond took the lead after reloading the bases as Lara walked pinch hitter Juan Ciriaco. Binghamton regained the edge, 3-2, with a pair of runs in the sixth inning off reliever Pedro Rodriguez. Outfielder Jonathan Galvez singled and scored on Jared King’s triple to the right center field alley to tie the game. King was brought in on a sacrifice fly from pinch hitter Gilbert Gomez for a 3-2 B-Mets lead. Richmond quickly tied the game, 3-3, in the bottom of the sixth with a two out triple from Mitch Delfino and Jackson Williams RBI single. The Squirrels took advantage of a shaky Lara to snag a 2-1 lead in the fourth inning. Hunter Cole led off with a booming double to right centerfield. Devin Harris worked a walk and Austin Slater was hit by a pitch to load the bases with one out. Mitch Delfino followed with a fielder’s choice to score Cole form third base and tie the game. Richmond took the lead after reloading the bases as Lara walked pinch hitter Juan Ciriaco. Lara pitched five innings in a no decision. Reliever Josh Smoker (1-0) earned the win with an inning and a third of scoreless relief. Edwin Quirarte was solid in an emergency start for the Squirrels. The righty allowed just one run on five hits, one walk and a career-high eight strikeouts. Quiarte received a no-decision and was lifted for a pinch hitter in the Squirrels two-run bottom of the fourth. Pedro Rodriguez made his return from the disabled list and allowed two runs on three hits over two innings of work . 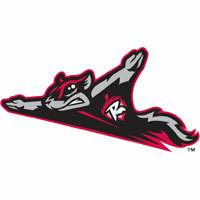 The Squirrels continue the homestand on Friday at The Diamond against the Binghamton Mets. Richmond RHP Joe Biagini (8-5, 2.15) will start for the Squirrels against B-Mets RHP Seth Lugo (6-4, 3.20). First pitch is set for 7:05 PM with the Flying Squirrels Pregame Warmup starting at 6:35 PM on Fox Sports 910 and FoxSportsRichmond.com.